Our Spring seasonal, the Hoppy Wheat, is back! 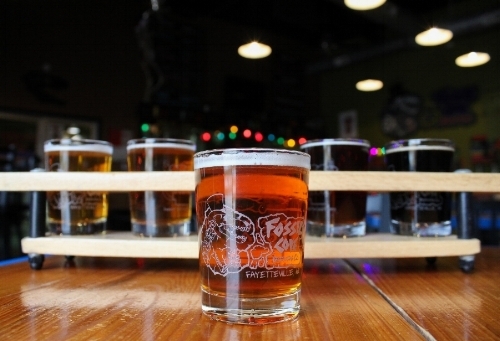 Visit the Tasting Room or NWA purveyors of craft beer for pints or six packs. We call Fayetteville, AR home and make it our mission to provide quality craft beer to Arkansas and the Ozarks. Named after a favorite fossil laden cove on the shores of Beaver Lake (the brewery’s water source), we love our corner of the world and everything it offers. Find us at establishments across Northwest Arkansas or visit us at the Fayetteville Tasting Room. ﻿We brew what inspires us.